Given a blank slate of a room, many of us struggle to visualise how best to decorate it – not just in terms of colour scheming, but also in picking out new furniture, whether you're furnishing the entire room from scratch or matching new pieces with existing ones. Which style to go for? Which upholstery fabric type and colour? And this is before you've even got to picking out accessories, such as lighting, rugs and pictures. And what if you want to go further than just choosing pieces that will look nice together? What if you want to create a defined interior style that can give your whole home a cohesive look? Well, we might well have found the solution – a new app from Maisons du Monde called 3D at Home. Harnessing augmented reality, you can use it to visualise a wide selection of MdM products in your own home – in other words, you point your phone's camera at the room concerned and pop in images of the furniture you like to see how they look in place. There are more than 600 products available, all modelled in 3D from every angle that you can look at in a 360° room view then, handily, order via your mobile. Want to get more help and see the furniture in the flesh? 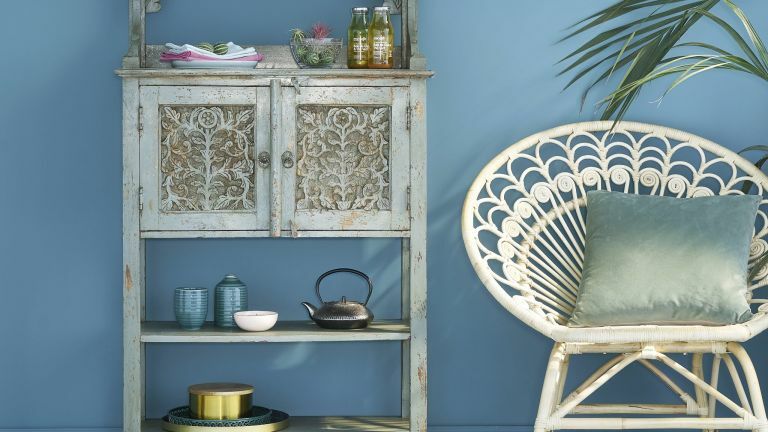 You can go along to a Maisons du Monde store – there are four UK concessions, in London, Leicester, Manchester and Birmingham – and ask the sales team about the Decor Workshop; there, they can sit you down for some expert advice, and you can check out colour and texture samples. Or, go online to design your project. Using the online Decor Workshop tool, you can draw a plan of your home and see it in 2D or 3D, then decorate and redecorate to your heart’s content with a selection of Maisons du Monde furniture and decor. In a few minutes, you can bring your idea to life. Clever.